Following two award-winning Concours of Elegance events – previously held at Windsor Castle in 2012 and St James’s Palace in 2013 – the third international Concours of Elegance will take place from 5-7 September 2014. 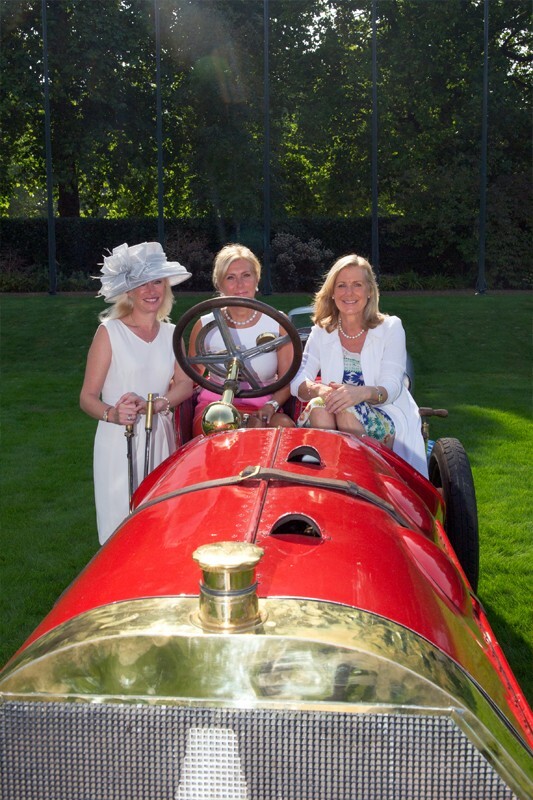 The Concours will bring together 60 of the rarest and greatest cars from around the world – many of them never seen before in this country – uniquely set to grace the Fountain Gardens on the East side of the historic Hampton Court Palace to create the ultimate, elegant English garden party. Supporting the 60 hand-picked Concours entries will be a display of over 350 other desirable cars from all eras within the Hampton Court Palace grounds on the Saturday and Sunday, presented by a wide variety of car clubs, exclusive Concours classic car tours, and prestigious motor vehicle manufacturers. The annual Concours of Elegance remains unique in being the only automotive event in the world to enjoy an authentic and spectacular Royal Palace as its backdrop, with keen Royal motoring enthusiast HRH Prince Michael of Kent as the event’s Patron. Given its strong Royal connections, fittingly the Concours is supported by members of the Royal Warrant Holders Association. The exclusive hospitality options at the event reflect this, and have been specifically designed, incorporating the services and products of Royal Warrant holders Mosimann’s, Pol Roger and Corney & Barrow. Headed up by Anton Mosimann OBE, Mosimann’s has been a family-run business for over 30 years, and a holder of the Royal Warrant by Appointment to HRH The Prince of Wales for Catering Services since 2000. Mosimann’s catered for the Royal Wedding dinner in 2011 and were the appointed caterer at the 2013 Diamond Jubilee Coronation Festival held in the grounds of Buckingham Palace. Champagne Pol Roger is one of the very few remaining houses still owned and run by the founding family. Its Royal Warrant was awarded in 1911 when Pol Roger was served at the Guildhall luncheon held on George V’s Coronation Day on 30 June. By 1914 Pol Roger had become the champagne of people of prominence, and the 1906 vintage sealed this position, being consumed at many royal functions. Sir Winston Churchill, being one of its most illustrious devotees, was honoured by having a Pol Roger Champagne named in his honour. Corney & Barrow has been refreshing the City of London since 1780 and is the proud holder of not one, but two, Royal Warrants. Many will be familiar with its infamous City bars, but less will be aware of its rich heritage as international wine merchants. All the wines to be served at this year’s Concours of Elegance have been specifically chosen by Corney & Barrow’s wine experts. Enjoying full hospitality within the spectacular grounds of Hampton Court Palace helps to make a memorable and entertaining day, or weekend, at the Concours of Elegance even more entertaining. An exclusive hospitality enclosure will offer badge holders a private dining area where they can relax in comfort and enjoy all day refreshments, whilst still having direct views of the Concours displays just a few feet away. All hospitality guests will have complimentary admission into Hampton Court Palace and, by prior arrangement, guests may join in on some of the small tours around the Palace and grounds that are being put together specifically for the event. Concours visitors wanting a more flexible option are able order exquisite, freshly prepared Mosimann picnics, which can be collected on the day and enjoyed anywhere on the East Front Lawns within the Palace grounds. For an additional cost, guests may take their picnic into the private hospitality enclosure where a table in the garden area can be reserved. Entry to the 2014 Concours of Elegance at Hampton Court Palace is strictly by advance ticket only, with adult entry tickets available to purchase now from £25 per person, per day. Ticket details, plus more information on the entertaining opportunities at the Concours – including menus, tailor-made hospitality and picnicking packages – are detailed in the new Concours of Elegance website (www. https://concoursofelegance.co.uk/coe2017_wp/ ).